SUPER BOWL LIMOUSINE PARKING PASSES NOW AVAILABLE WHILE THEY LAST! 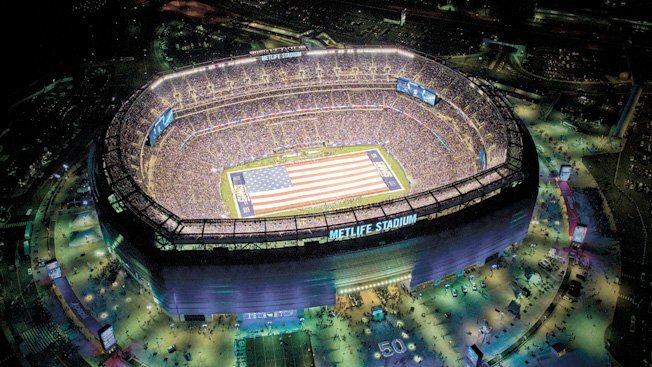 Bermuda Limousine International has purchased parking passes for our clients for the Super Bowl event at the MetLife Stadium. Super Bowl Limousine parking passes have a 10 hour minimum charge on the day of the event only. Forget about setting up those kegs or buffet tables in the parking lot before this season’s Super Bowl at MetLife Stadium. There will be no tailgating, according to the game’s committee CEO, Al Kelly. You will be allowed to have food in your car and have drink in you car. And provided you’re in the boundaries of a single parking space, you’ll be able to eat or drink right next to your car. The tailgating news came during the committee’s Monday news conference regarding transportation and safety for the Feb. 2, 2014, game. And hiring a black car, taxi or limo won’t be an option for VIPs who will spend thousands of dollars per ticket. No cars will be allowed near the stadium on game day without parking passes, and any car that drops off a passenger will have to wait at the stadium.